M&M Footwear is a full service distributor with over 45 years of experience in conceptualizing, sourcing and developing products for every need and quality range. 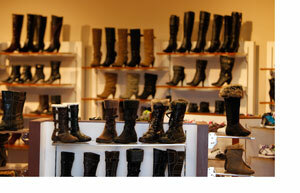 At M&M Footwear we partner with our clients to develop the latest trends and styles. The styles featured in our catalogs and showrooms are just the start. We offer a complete in-house design team that can take on any challenge. We can utilize any material in the market to offer the customer literarly millions of possibilities. If you spot a new style on the street, tell us about it, and we will design unique variations to accommodate any price range. If your company has its own creative department, we can take your ideas and make sure that it is manufactured in the right factory for the best price-to-quality ratio. M&M Footwear is truly your one stop design shop. 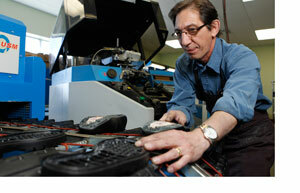 M&M Footwear takes pride in our 40+ years of experience in the Canadian market. With agents across the country, and showrooms in both Montreal and Toronto, we offer our clients a direct line to the Canadian Footwear market. Our experienced marketing team will work with you to develop marketing and branding strategies specialized to your specific needs. Our sales team is supported by our customer support team, which is comprised of over 50 employees around the world. From the initial sale to distribution, M&M Footwear has a team that will stand by you until the job is done. 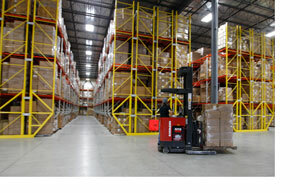 M&M Footwear has invested heavily in optimizing its distribution capabilities. 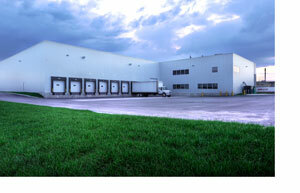 With a state-of-the-art distribution facility, M&M can accommodate any type of distribution. If you require a low cost bulk distribution, long or short term storage, or a pair by pair complex pick and pack distribution, M&M has the facility that can accommodate any need. M&M Footwear is one of the last remaining Leather footwear manufacturers left in Canada. With over 60 years of experience our “St. Emile” Division is truly unique. With complete manufacturing capabilities located at our head office, M&M footwear can produce a “Made in Canada” product that is catered to your needs. Specializing in high grade leathers, fashionable outsoles, waterproofing and current trends, we can offer you the highest grade locally made Footwear.